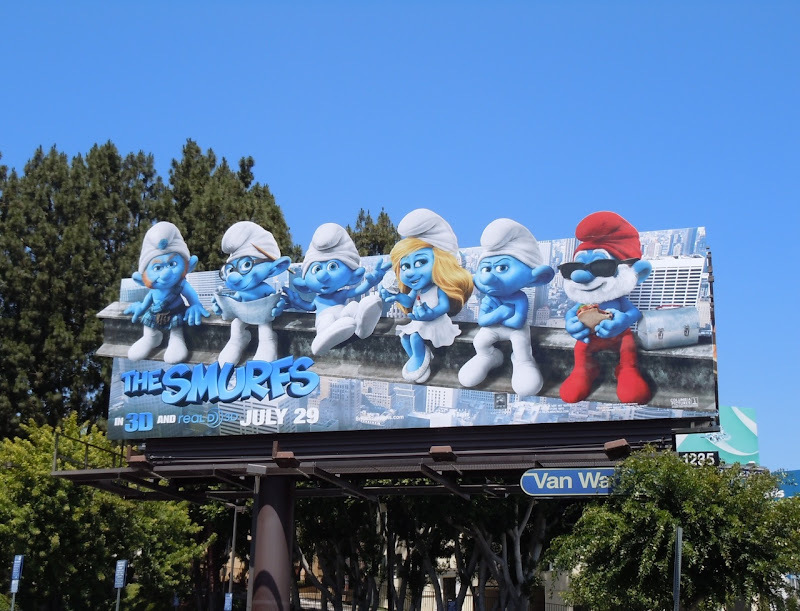 This Summer it's time to for some more childhood nostalgia as The Smurfs make their big screen debut. 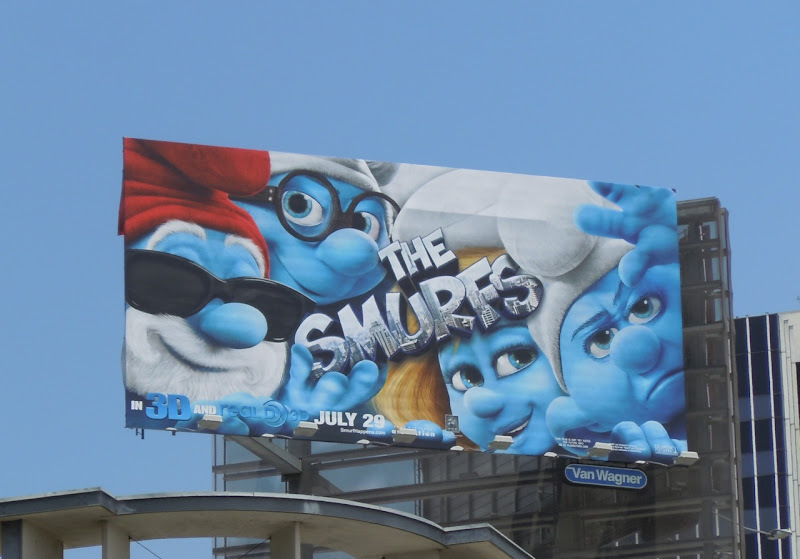 Not only do they appear on a big budget movie, but it's live-action as well, with their distinctive blue-skin features brought to life by computer-generated animation. 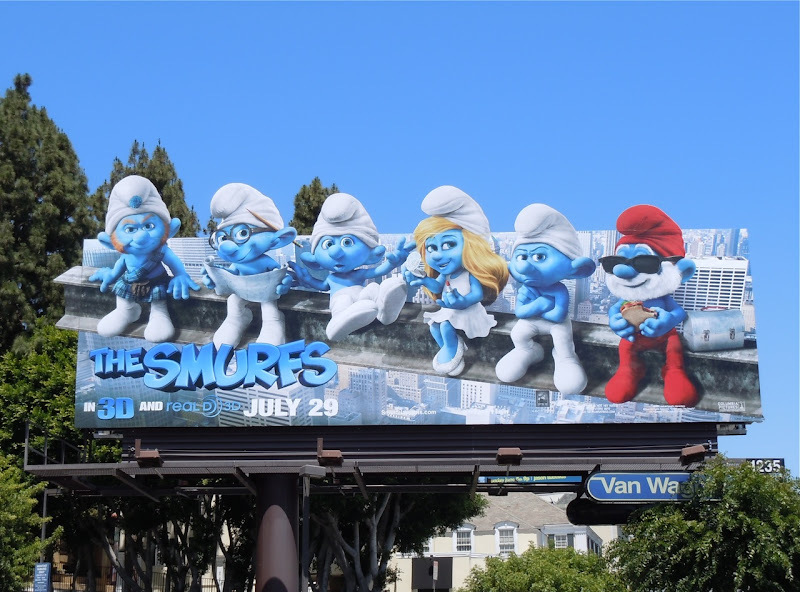 Papa Smurf, Smurfette, Brainy Smurf and more will join Neil Patrick Harris and Jayma Mays when they are magically transported from Medieval Times to modern day New York City. The standard billboard for The Smurfs movie has the New York City skyline a bit too subtly in the logo, but the special version is a nice homage to the iconic 'Lunch atop a Skyscraper' photograph taken by Charles Clyde Ebbets during the construction of the Rockefeller Center in New York in 1932. 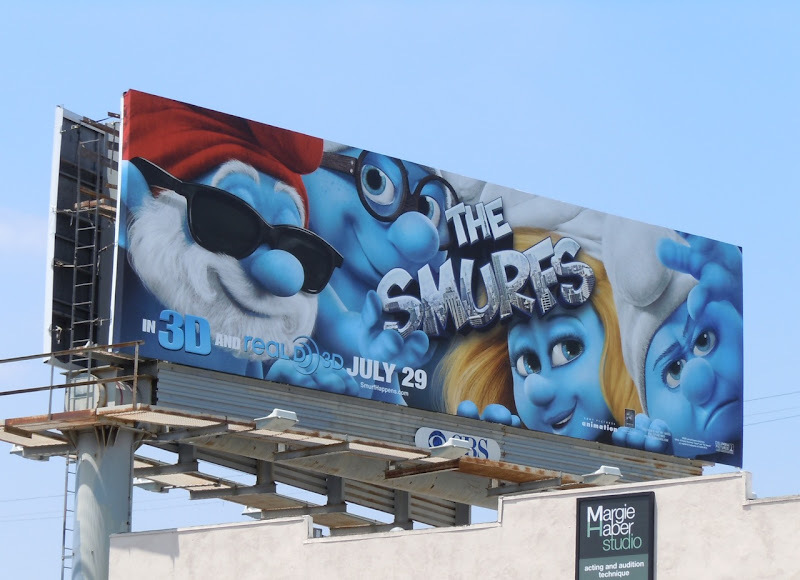 The standard billboard with The Smurfs faces looking out at you was snapped along La Cienega at Santa Monica Boulevard on June 18 and a smaller version at Sunset & Vine, whilst The Smurfs on the steel girder version really stood out along Sunset Boulevard on June 27, 2011. 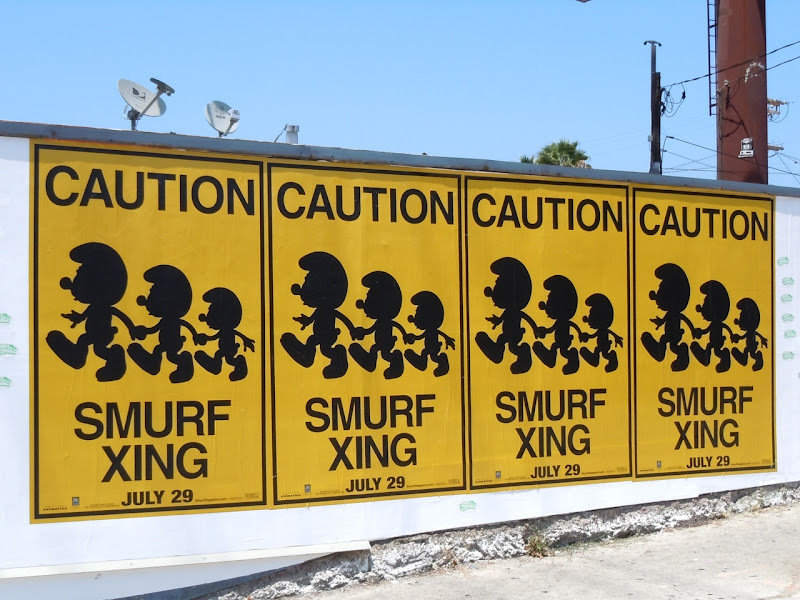 UPDATED: Even though it's not strictly a billboard, this poster for The Smurfs movie is still fun enough to make even the most cynical passerby smile and was snapped along La Cienega Boulevard on July 13, 2011.